It looks like an air-bubble in the tubing, but it’s not. I can rewind/prime/purge/(waste) insulin, but this spot doesn’t move. It just stays put. And it’s happened before. Often. I haven’t a clue what it is. Any ideas? Posted on June 14, 2013, in Diabetes, Insulin pump. Bookmark the permalink. 11 Comments. I typically see those areas on my tubing when I’ve accidentally squeezed it in the clip-case (I don’t know what its proper name is, but it’s an open plastic case that the pump can be slipped in and out of without having to unclip it from your clothes). Could your tubing have been squeezed one way or another? That is definitely a possibility. It does sometimes get pinched between the pump and the sleeve it slides into; or in the rotating part on between the sleeve and the clip. Is that bad? Is it just a superficial scratch or is it somehow compromising insulin delivery? These things are supposed to be tough, and I’ve never had reason to believe my insulin wasn’t getting through. I always thought it was where there was a bend or stress on the tubing! i think the plastic of the tubing gets kind of scratched up sometimes…like when you bend…i don’t know, a blue plastic berry bin because you want to rip it up, and it just sort of turns a lighter blue but doesn’t snap? bad example. Echoing votes of a pinch or squeeze on the tubing. Ditto – I actually worked for a catheter-making company in college, packaging epidurals and such with tubing. (woot, assembly-line work!) 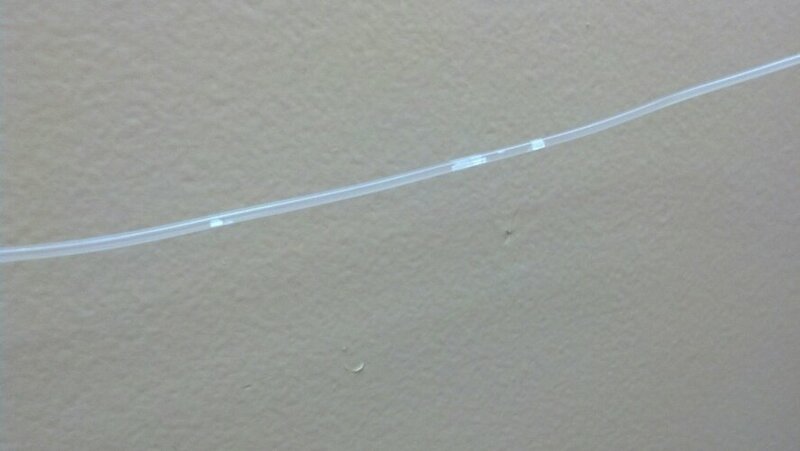 We would QA for stuff like that, but occasionally tubing would get out with those kinds of marks on it. Doesn’t harm anything, but can look deceptively like bubbles inside, instead of within the plastic itself. Yup, I always assumed what everyone else said – it’s just a mark on the tubing. I don’t know for sure, but that’s what I think! !